This season #WUFF6/2017 is thrilled to partner with The Radical Film Network, based in the UK, Third World Newsreel - on their 50th Anniversary of distributing progressive films, The Joseph F. Murphy Institute for Worker Education and Labor Studies and The National Writers Union (NWU/UAW) to open our festival season with A Global Gathering - The Radical Film Network in NYC. This conference, as well as the whole festival, is the perfect way to fight back against the radical right-wing, anti-worker trump regime. Over 100 filmmakers, academics from cultural programs, film festivals and cultural activists will meet to discuss and plan ways to help build the growing progressive resistance around the world, by assisting organizing and mobilization drives both here in the U.S., as well as with out progressive partners worldwide. WUFF2017 kicks off on May 5th at Cinema Village in NYC (22 East 12th Street) with an exciting opening night program, including Killing The Black Snake - a look at the anti-DAPL fight from the POV of our Native American Brothers and Sisters, Generation Revolution - where we see how Black Lives Matter struggles are organizing in the UK. This is followed by the just released feature - In Dubious Battle, directed and starring James Franco, with Selena Gomez, Zach Braff, Ed Harris, Vincent D'Onofrio, Sam Shephard, Robert Duvall and Nat Wolf, in the John Steinbeck classic about a radical organizer who heads to the Pacific Northwest to help 900 apple orchard farmworkers organize a strike during the Great Depression. We end the evening with Marx Is Back, a charming mini-series of fiction based on the Communist Manifesto. May 6th is Music Day at the festival, with films about how creative artists are workers too and how their struggles often presage the fights of all workers in a society - such as in the amazing film, They Will Have to Kill Us First, about musicians in Mali facing mutilation and death from Jihadist occupiers, simply for doing their jobs - playing music. Saturday will also see Cab Elvis, two wonderful films about the sometimes hard road an artist must take to create their music - in 25 Tracks & Mike Morningstar: Ballad of A Working Man. Not to be missed! Only the second screening in NYC of the beautiful new musical, Thirsty, that tries to answer the question, where does a drag queen come from? May 7th is our salute to LGBTQ and Trans rights are workers rights are civil rights! We have a full day and evening of films, both touching and powerful to celebrate our brothers and sisters once again under attack by the right-wing radical fringe, who have no idea of what Jesus meant when He said, "Love They Neighbor." Anchovies, a touching short film about identity, leads us into Free Cece, a transgender woman of color who was arrested and plead guilty to second degree manslaughter for defending herself against a racist and sexist man who attacked her. Don't miss the captivating Out Run, from the Philippines, about the first Trans political party - amazing! Our evening is anchored by Woman on Fire, the story of the first openly trans female firefighter in the FDNY. Incredible bravery on display here. And we are honored to end the night with one of the most touching films you will ever see, about climate change and trans rights, with a hero who you will wish was in your own neighborhood too, Denial. These are just the first few days out of nearly three weeks of festival. 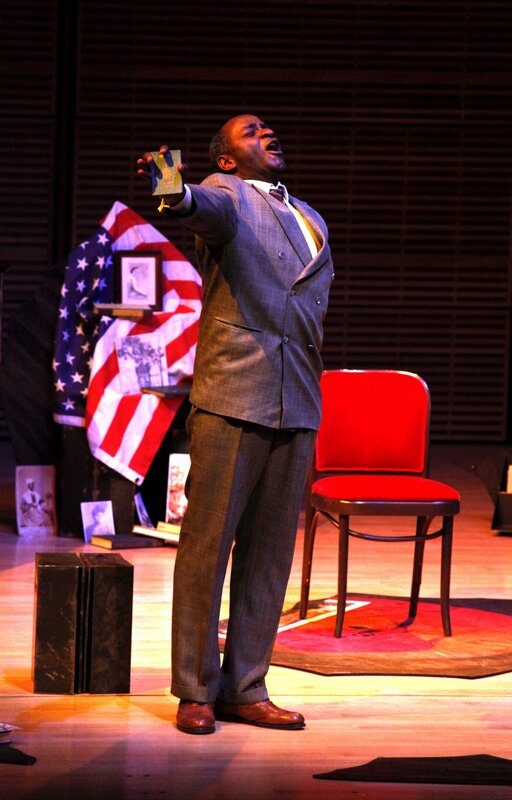 we have music, theater and over 50! films about workers, their lives and their fight to save and build their union movements, here and world wide. Keep your eyes coming back to Workersunitefilmfestival.org as we update the calendar daily with more films, more clips ticket purchase ability through Eventbrite (by next week). Today is seen by most Americans as the end to their long summer holiday season, with the return to major work projects and their children's new school terms right around the corner. But many of us forget to salute the brave workers and their unions, who fought and died for what we now consider normal workplace existence. The 8 hour day was a huge and bitter fight, the weekend off was the same, any kind of grievance procedure, protected wages and benefits - all these were hard fought gains made by folks just like you and me. who decided the time had come to fight back against excessive greed and exploitation. Many victories were won and we enjoy the fruits of those victories even today. This remains true even after several years of direct assault on workers and their unions by a hard-core right wing partnership between huge employers and their Republican puppets in Congress. These ignorant and often lazy elected officials have spent the last eight years blocking every single pro-worker effort by the Obama administration, healthcare obviously being the main effort. We have seen the GOP repeatedly attempt to repeal Obamacare and now we see their corporate partners, like Humana and Aetna, trying to harm the American people by doing their best to damage this historic program to bring healthcare to millions of working Americans who had not been previously able to see a doctor due to the expense. Workers and union members must remain vigilant in not only protecting workplaces that have already been unionized, but must continue the Fight for $15 nationwide, as well as directly organizing workers in every single workplace we can. Data from several academic studies in the past weeks has shown that the corporate/right-wing attacks against unions and workers has had a devastating effect on the earnings and economic well-being of the 99%. This must be reversed in order for a real, long-term, widely distributed economic recover to take place. As we get ready to launch our 6th season of the Workers Unite Film Festival, we are thrilled with the films and the efforts we see all over the world to build worker consciousness, to build worker power and to make all workers understand that it is not somebody with different colored skin, or a different religion, or different sounding last name that is the cause for their feeling powerless and cast aside in this increasingly high tech society. It is directly because of a concerted attack by the 1% ownership class on their existing legal rights to organize into unions, to fight for what is fair and equitable at work and to live lives with dignity and respect for that work, that they have fallen so far behind where they expected to be. Please send in your films and screenplays so we can keep telling the world about your brave and courageous efforts to fight back against injustice and greed. We have several special events planned for this season - a mobile phone film contest for students and over a week of community outreach with a powerful and touching multi-media production, Every Fold Matters. More on these projects soon. Enjoy your day off and see you on September 10th at the NYC Labor Day Parade! THANKS FOR SUPPORTING THE FESTIVAL BY ORDERING YOUR TEE SHIRT TODAY!! ONLY $25 GETS YOU THIS FANTASTIC TEE! THANKS NYC AND ALL OUR LABOR FRIENDS FOR THE BEST FESTIVAL YET! This fifth season of the Workers Unite Film Festival was the biggest and best yet, with more attendees, more venues, more creative energy and many more submissions (nearly 160 projects on workers, their lives and their efforts to build their unions). With over 40 programs all over NYC and over 80 films and events, #WUFFNYC has grown to be one of the largest worker/labor dedicated cultural events in the country. This year we made an effort to include a major multi-media piece – Every Fold Matters, which played to sold out crowds every night at our wonderful partner’s space in Brooklyn – Union Docs. We also included two music nights, with many talented performers and partnered with Local 802AFM to help raise awareness about the union in these burgeoning music clubs in Brooklyn and with performing artists who had not yet joined Local 802AFM. We expanded to both Queens and The Bronx with community screenings, and will continue these year round. But our main focus remains films and we received so many excellent ones this season it was very difficult to reject several of the good ones and even harder to pick winners in each category. We love all our filmmakers and their amazing dedication to telling such important stories, stories almost continually ignored by the mainstream media. These "Best Of" and "Honorable Mention" designations, then, are the films that really stood out, both as audience favorites, but also for the skill and passion with which they tell these important stories of struggle and perseverance in societies where workers and their unions are under constant attack (including our own!). Congratulations to all our filmmakers and screenwriters and to all of our wonderful attendees and sponsors who help make this the largest worker/labor film festival in the country. We are thrilled to have made it to 5 and with all your help (we do have some amazing festival tee shirts still available for a small donation!) 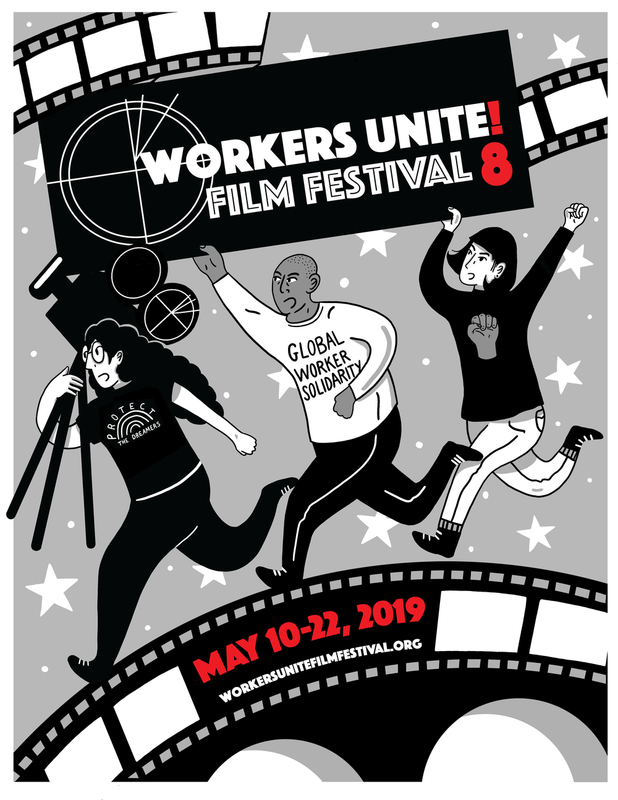 – Workers Unite Film Festival 6 will be even better!